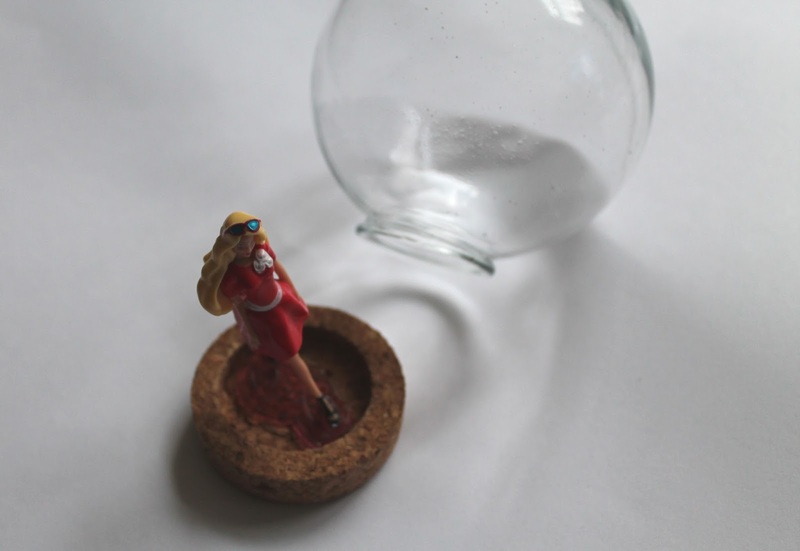 Another gift for Christmas today and it's a really simple Snowglobe. You can really tailor this to whoever you are going to give it to as the scene inside is whatever you want it to be. I choose a Barbie theme as I know it's just what the recipient of this little beauty would love. This would be just as perfect for a child as an adult and so there are no limits to the theme you could choose. As I said, it really is very simple to make. You will need: A Jar (I got mine from Tiger), waterproof glue, plastic glitter, Glycerin, Bottled water and your ornament for inside. 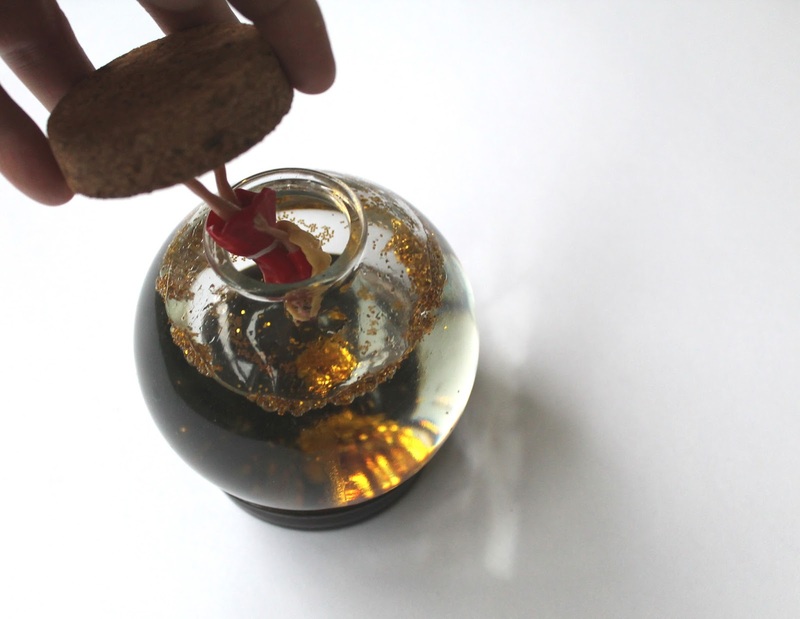 Using the waterproof glue, attach your ornament to the inside of the lid. This may take a good 24 hours to completely dry and so you can do this way before you are ready to put it all together. You could make up a whole scene or use a small ornament like mine to keep it simple. Once your ornament is in place, you can get to the fun part! Fill your jar up with bottled water, it needs to be distilled water and so this is why bottled water works best. 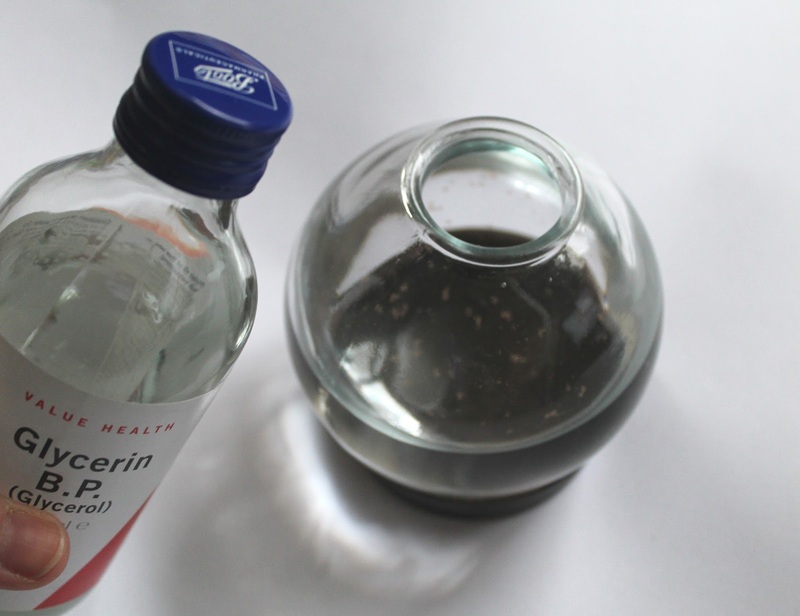 When you have filled your jar almost to the top, add a dash of Glycerin, probably about 2 tablespoons. This will make your glitter fall down more slowly. Then, add your glitter. 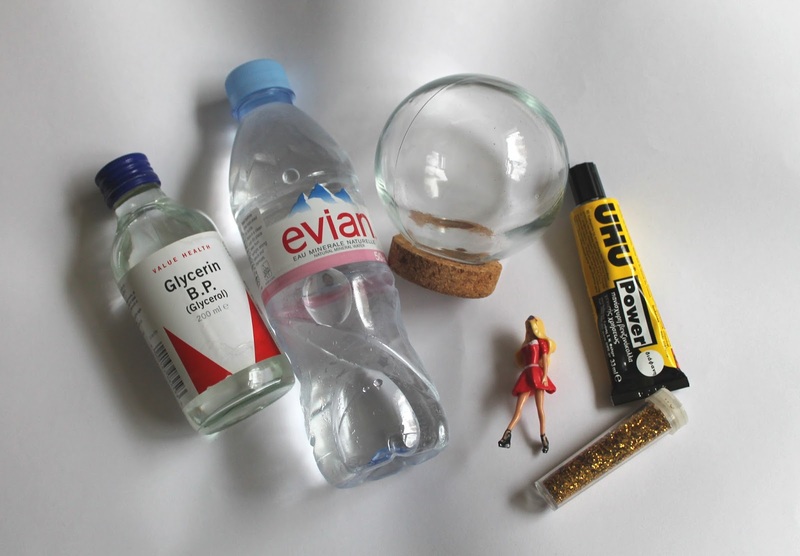 Add as much or as little as you like to make your snowglobe glitter happy. 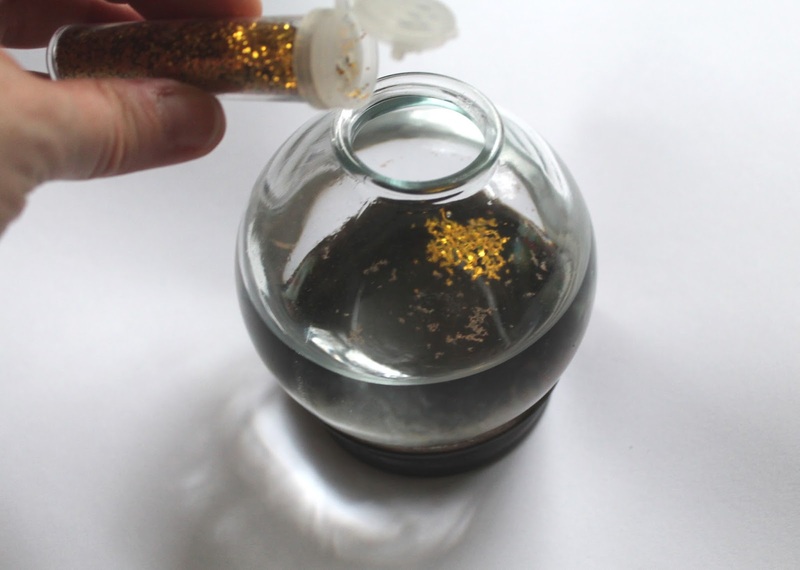 Then stir your water, glycerin and glitter together so that it makes a nice mix. You can now fill the jar totally to the top. 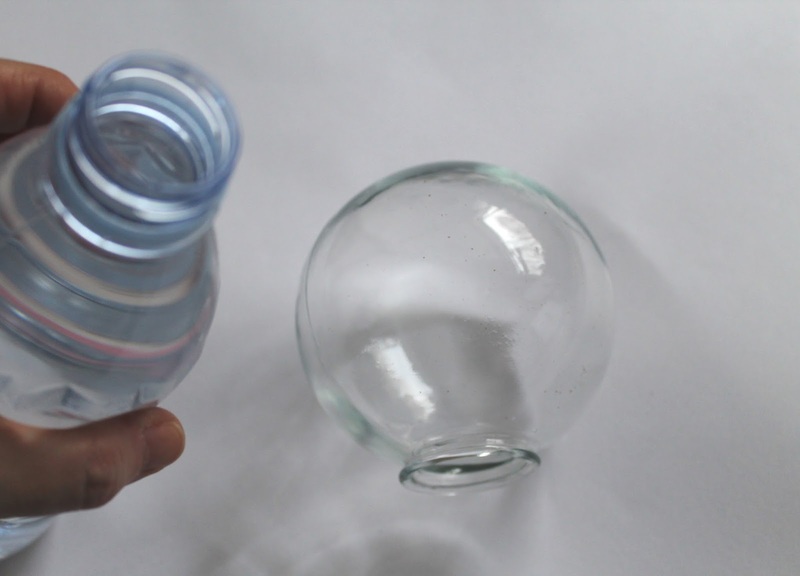 Now you can pop your lid on (make sure you keep it upside down) and seal it up using glue. 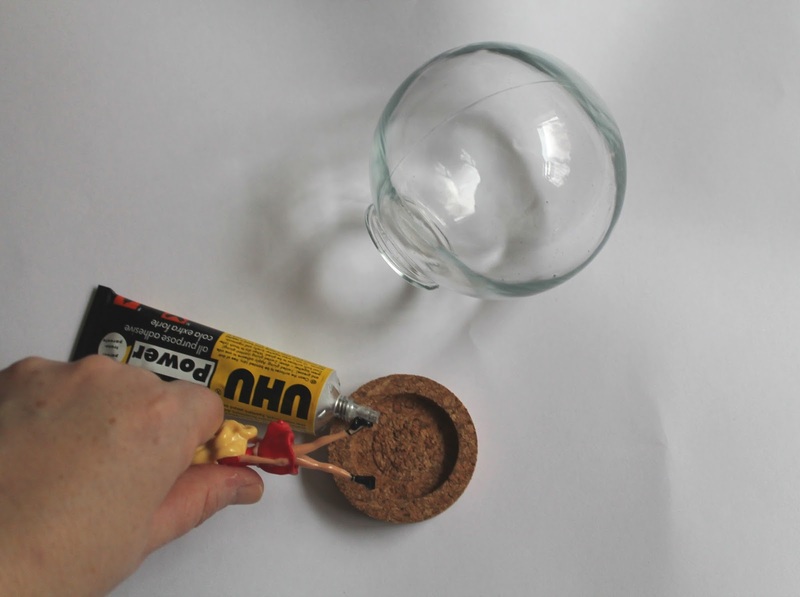 The jar I used has a great cork lid and so its easy to glue inside the lid first. A little liquid might come out the top as it is overflowing from the ornament being added. Just mop it up and when your ready turn it over. 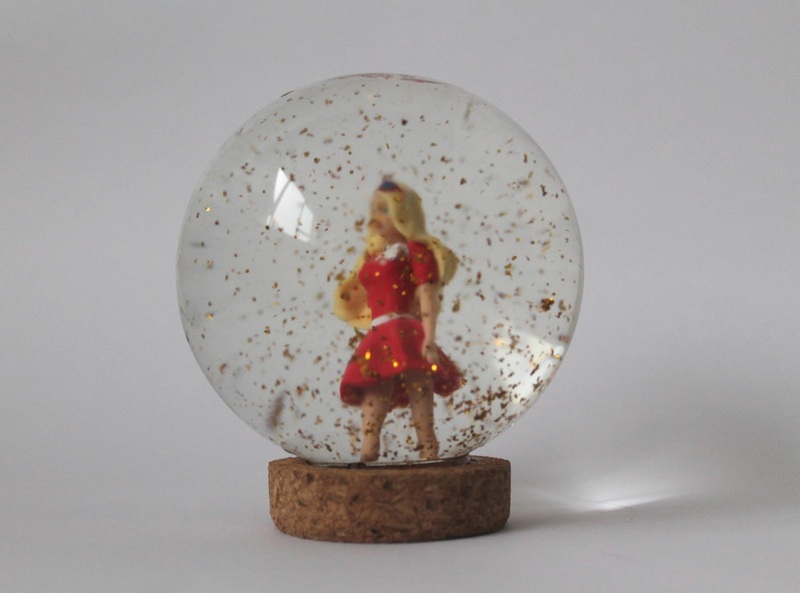 You now have your glitter snowglobe. What scene or ornament would you put in yours? 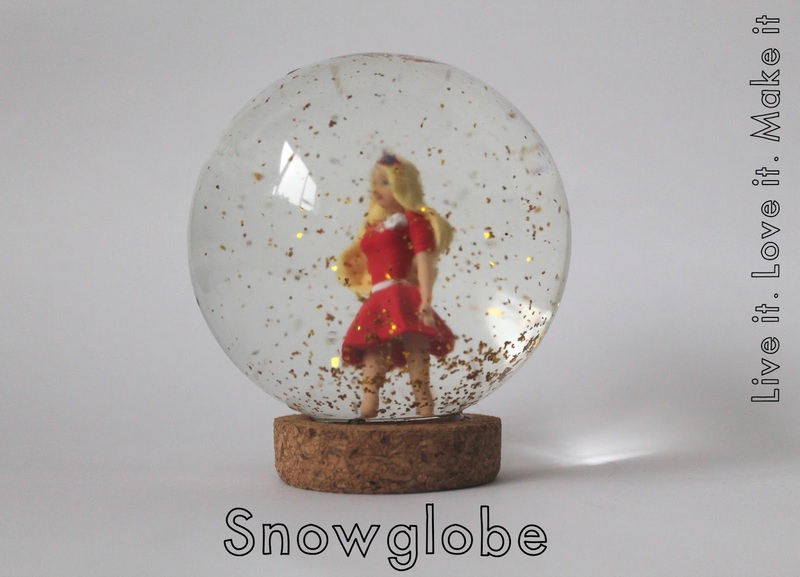 I am always on the look out for a really nice London snowglobe and so perhaps this should be my next make!